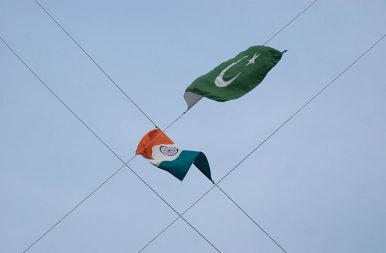 India and Pakistan are engaged in trade talks, intended to maintain bilateral momentum ahead of India’s elections. Earlier this week, India and Pakistan resumed secretary-level trade talks in New Delhi. According to Pakistan’s DAWN, the meetings are being held for the first time in 16 months and are limited in nature. Both sides agreed to the talks in order to sustain “momentum” but foresee detailed and substantive talks after India’s general Lok Sabha elections, which will take place in May 2014. Pakistan’s Minister of State for Commerce and Textiles, Khurram Dastgir Khan, told his Indian interlocutors that Pakistan desired increased market access, an easing in non-tariff barriers, and a free flow of investment and goods between India and Pakistan. Khan will meet with his Indian counterpart Anand Sharma on January 18 to discuss a host of matters related to trade and investment between India and Pakistan. A preliminary meeting on trade issues took place on January 15 between Indian Commerce Secretary S R Rao and his Pakistani counterpart Qasim M Niyaz. According to reports by The Economic Times, the meeting allowed both sides to frankly exchange views on trade matters–particularly for the Pakistani secretary to convey the position of Nawaz Sharif’s government to the Indian side. Currently, little formal direct trade occurs between India and Pakistan, despite their large land border and several major Indian and Pakistan metropolises being in close proximity to each other. The majority of trade between the two neighbors thus uses Dubai as an intermediary node, increasing costs and inefficiencies. The strange logic behind Pakistan's leaders wanting a Hindu nationalist party to keep control of India.